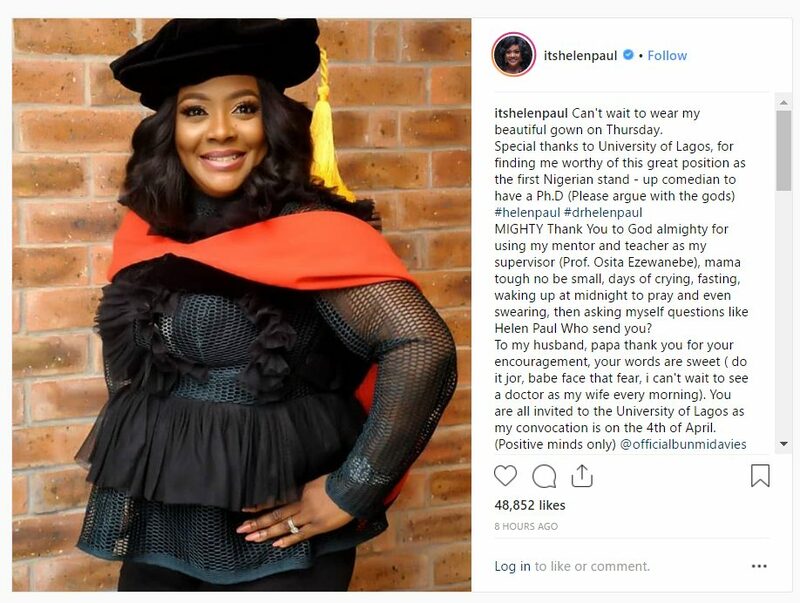 Nigerian stand-up comedian, Helen Paul has made history as the first ever Nigerian stand-up comedian to become a Ph.D. holder. Noting the struggles she had to surpass to achieve her recent feet, the comic act noted that she is all grateful. 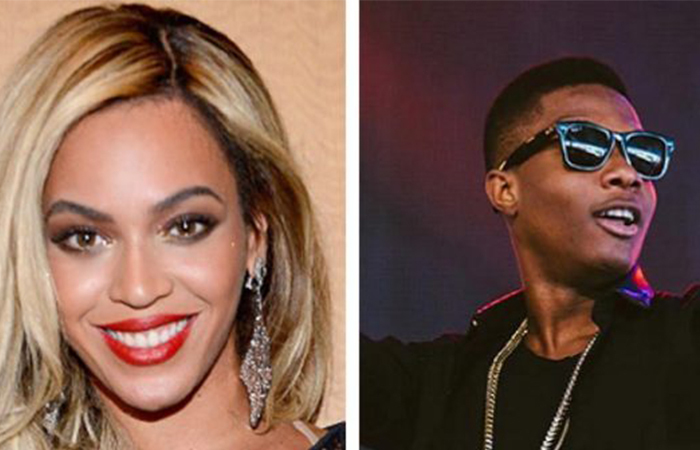 According to her, there were times when she asked questions, but she made it. Thanking her husband especially for standing by her, she noted that he was a major source of encouragement. She therefor, added that is to return to being a wife and mother. A Post Doctorate course is next, she said. 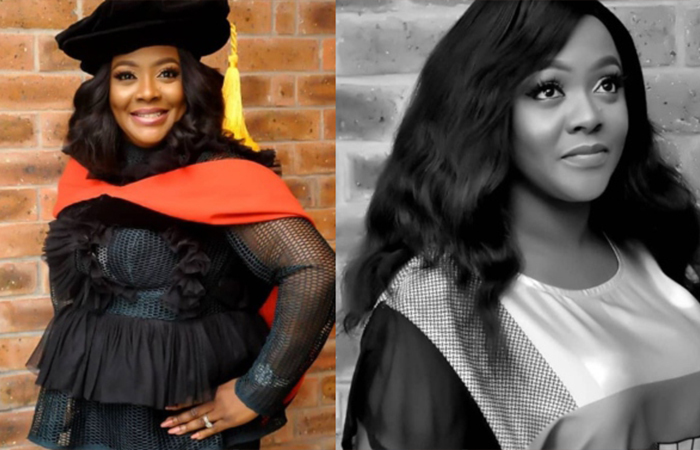 helen now the first nigerian stand-up comedian to bag a ph.d.